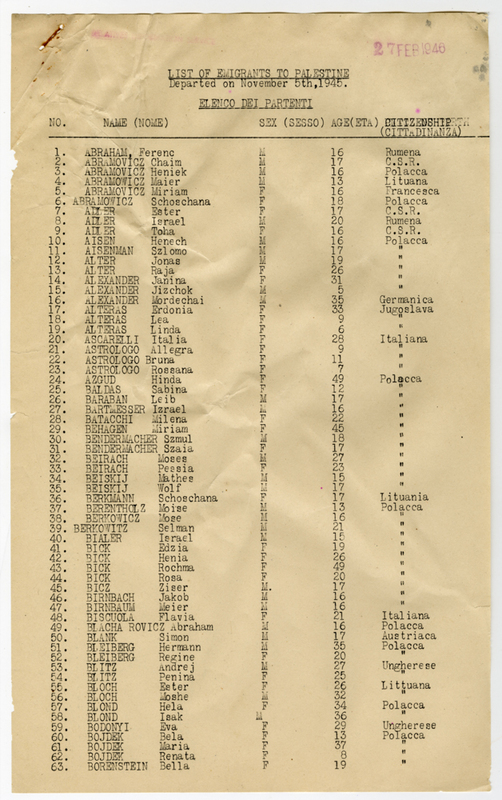 A list of Emigrants to Palestine apparently from Italy. The list was found on a South African library's website. Enter line number, surname, given name, gender, age and citizenship. The citizenship is in Italian, most are similar to the English equivalent. 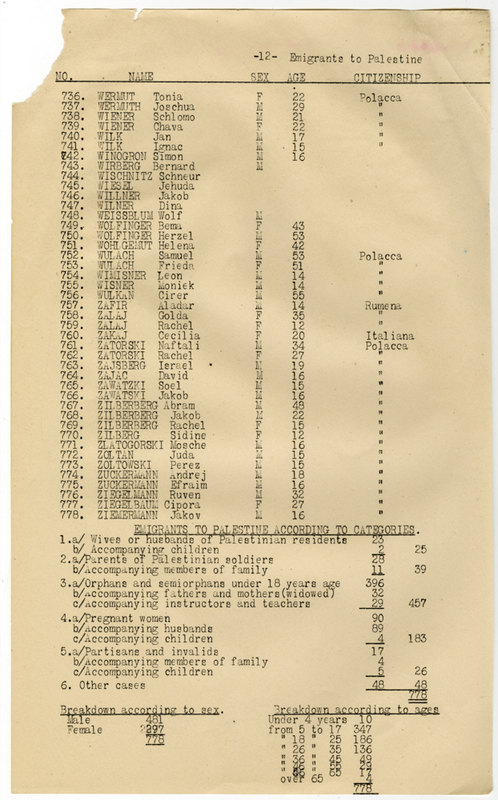 Some that may not be clear include Ungherese (Hungary) and C.S.R (USSR). Please type it as it appears on the scan.